If I have other questions or comments about StarKist® products, how do I contact you? You can call StarKist® Consumer Affairs at 1-800-252-1587, Monday-Friday between the hours of 9:00 a.m. - 5:00 p.m. ET or click here to email us. How can I get a StarKist coupon? StarKist makes coupons available to consumers in a few different ways. This includes in-store offers, on the package or featured in magazines and coupon supplements (in mail or Sunday paper). The best way to get the latest information about StarKist special offers is to join our community. Also, make sure to follow us on Facebook and Twitter! The majority of our tuna is produced in either American Samoa (which is a territory of the United States) or Ecuador. While a small amount of our tuna is also produced in Thailand, all facilities must follow the same stringent United States government regulations as plants located inside the country. The FDA and other United States regulatory agencies regulate our operations. In compliance with Federal regulations, if any of our products was produced outside of the United States or one of its territories, the label will list the country of origin. If a product does not specifically state the country of origin, then you can assume it has been produced in the United States or a U.S. territory. Where is your tuna caught / is your tuna farm-raised? All of StarKist's tuna is wild-caught. The majority of the tuna StarKist obtains is from the Pacific Ocean and the Western Atlantic fisheries. We do not use farm-raised tuna. Why is white albacore tuna not always white? Since tuna is a natural product, you will notice some natural variation in the color of the fish. Albacore is the only species that can be labeled as "White Tuna"; however, the actual color of albacore tuna ranges from whitish pink to creamy beige. Factors such as the region where the fish was caught, or the age and diet of the fish can affect the color. What species of tuna do you use? Tuna labeled as "Light Meat" may contain one or more varieties of light meat species, usually Skipjack or Yellowfin tuna. Tuna labeled as "White Meat" contains Albacore tuna. Canned tuna is safe and canned light meat tuna is listed on the EPA/FDA advisory as one of the fish that has very low levels of methylmercury. The trace levels of methylmercury found in canned tuna are far below the 1.0 parts per million (ppm) standard the FDA has set as safe. FDA testing has shown that canned light meat tuna has an average of 0.1 parts per million (ppm) and that Albacore (white meat) tuna has an average of 0.35 ppm. StarKist has appropriate testing procedures in place to ensure that both our light meat canned and white meat canned tuna are well below the FDA limit of 1 ppm. For more information, go to the FDA's website at www.fda.gov or call the FDA Center for Food Safety Information Line at 1-888-SAFEFOOD. "The majority of StarKist products do not contain Monosodium Glutamate (MSG). Only the Ranch flavor Tuna Creations contains MSG." Pyrophosphate is a common food grade additive used in a variety of products from chicken nuggets to toothpaste. It's often added to canned tuna to help prevent the natural formation of mineral crystals. Pyrophosphate is only found in our albacore products since these crystals form most often in albacore tuna. Does StarKist Tuna contain any gluten or grain ingredients? Tuna Creations® Herb & Garlic contains wheat and barley. Additionally, the crackers in the StarKist Lunch to-Go® and Tuna Salad Lunch to-Go® would contain gluten. Please note that due to product changes or new product introductions, we always recommend you check the ingredient statement for the most current ingredient information. If you have dietary restrictions or allergies to any of these ingredients, you might want to try StarKist Low Sodium Chunk Light or Very Low Sodium Chunk White Tuna in cans* (which contains only tuna and water). Also, StarKist Selects® Solid Light Tuna Fillet, packed in water or olive oil, does not contain vegetable broth. *Please note, StarKist Chunk Light Tuna, Low Sodium and StarKist Albacore Tuna, Low Sodium in pouches do contain vegetable broth. Consumers should consult product labels prior to consumption to double check for allergens as product formulations can change. What is the shelf-life of StarKist canned tuna and flavor fresh pouches? All unopened StarKist products have a recommended shelf life of up to three years, provided the product has been stored under normal conditions and the can or pouch appears normal and is not damaged. A "Best By" date is printed on all StarKist Tuna products for your convenience. Why is pouch product firmer and fresher tasting? Our pouch processing requires a shorter cooking time, which leaves the texture of tuna firmer, and results in a fresher-tasting product. How is the pouch product processed? For our pouch tuna, the fish are thawed, eviscerated, precooked, and cooled much the same as the canned product. The tuna loins are then carefully cleaned, to remove unwanted parts of the tuna as well as loose flakes/pieces. Vegetable broth is added to the tuna loins and the mixture is inserted into the pouches. Next the pouches are sealed and sterilized. Once sterilized, the pouches are dried, and stored for several days prior to final 100% inspection and final packaging. This description is fairly general as our process is considered proprietary. How is canned tuna made? From the initial catch until the finished product is shipped, StarKist Tuna undergoes rigid quality controls. At each step of the process, we take every care to provide the quality consumers have come to expect from StarKist. The tuna are frozen while aboard the fishing vessel. Once the boat reaches the dock, the frozen tuna are unloaded and continuously monitored. Next the fish are thawed and cleaned. Each fish is individually checked, and any fish not meeting our standards are removed. After the initial inspections, the fish are pre-cooked or steamed in large wire baskets and allowed to cool. Both the cooking and cooling processes are carefully timed according to the size and the type of fish. Next each fish is carefully hand-cleaned and inspected once again. The tender loins are cut into fillets and then conveyed to the filling machines that prepare solid-pack tuna, or to the "chopper" used to prepare chunk-style tuna. What is StarKist's Dolphin-Safe Policy? StarKist will not purchase any tuna caught in association with dolphins. StarKist continues its practice of refusing to purchase tuna caught with gill or drift nets, which are known to be dangerous to many forms of marine life. StarKist condemns the use of these indiscriminate fishing methods that trap dolphins, whales, and other marine life along with the intended catch of fish. StarKist was the first major American tuna canning company to make this commitment to the public. We remain committed to this policy and require certification that all tuna we purchase is dolphin-safe. 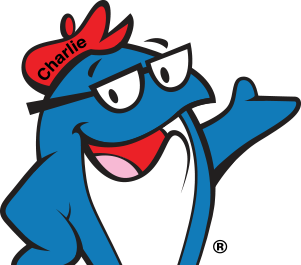 Our dolphin-safe policy includes StarKist tuna, as well as all of our branded and private label products. StarKist tuna is labeled with a special "Dolphin-Safe" logo. Do I need to refrigerate StarKist® Tuna in a Pouch before using? Because the StarKist Flavor Fresh Pouch® Tuna is a vacuum-sealed product, there's no need to refrigerate the pouch before opening. How is tuna in a pouch different than tuna in a can? StarKist Flavor Fresh Pouch® Tuna is another way of packaging tuna that has several benefits over cans. The first benefit you will notice is that there is no water in the pouch and that the tuna is chunkier. So there is no need to drain the pouch and you won't need a can opener to open it – simply tear the pouch and eat! It also has a fresher taste…it's delicious. Try it in your favorite tuna recipes or add a little protein on top of your salad or on crackers for a quick snack. Omega-3 Fatty Acids are polyunsaturated fatty acids that are found in fatty fish and some vegetables and nuts. EPA (Eicosapentaenoic acid) and DHA (Docosahexaenoic acid) are found in fatty fish. Studies have shown that Omega-3 fatty acids may be helpful in reducing blood cholesterol levels and reducing the risk of heart disease. The majority of fat in tuna comes from Omega-3 fatty acids. The Omega-3 fatty acid, DHA, is also found in the brain and the eye and help with the development of these systems in infants and young children. Some research has also shown that these fatty acids may also have a role in reducing inflammation. Since our bodies cannot manufacture their own supply of Omega-3s, we have to get them from the food we eat. Tuna is one of the easiest ways for Americans to get Omega-3 fatty acids in their diets. For more information about Omega-3 fatty acids and Nutrition, look on the "About Seafood" section of our website. What are the benefits of eating tuna? Tuna is an excellent source of protein and much lower in fat, saturated fat and cholesterol than many other protein choices. Tuna also has essential vitamins and minerals such as Niacin, Vitamin B12 and Selenium. The majority of fat in tuna comes from Omega-3 fatty acids that are important in reducing the risk of heart disease. The American Heart Association recommends that Americans eat 2 servings of fatty fish, like tuna, a week. Many studies have found that people who eat fish 2 or more times a week have lower rates of heart disease. Tuna is a quick, easy protein choice that works for lunch or dinner – eat it right out of the pouch or can, put it on crackers, a salad or sandwich, and it works perfectly in pasta and rice dishes. Find some of our recipes for quick and easy meal ideas!